Terex Advance held its annual service school on Feb. 25 to 26 in Fort Wayne, Ind., as part of its continuous efforts to support its customers throughout the United States. 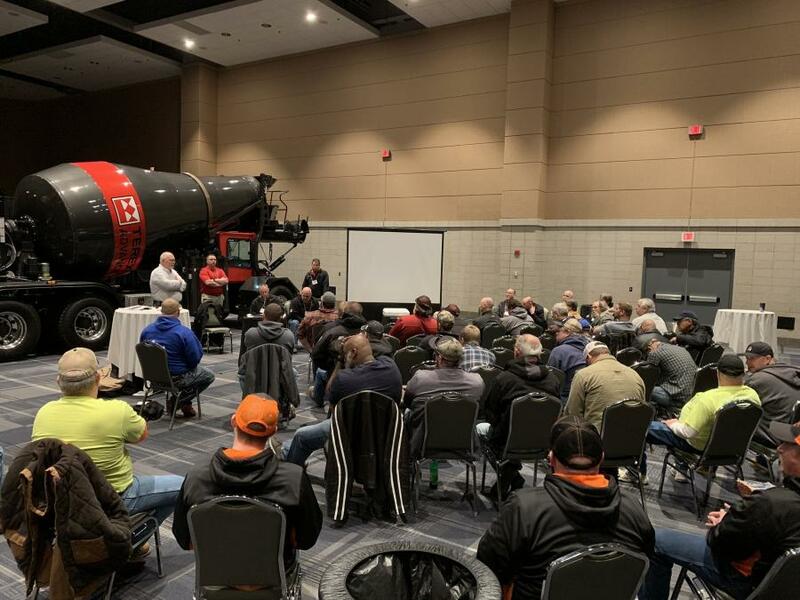 More than 100 technicians from across the country gathered at the Grand Wayne Center to hear Terex Advance production and engineering professionals, service providers and vendors discuss new offerings, troubleshooting and diagnostic repairs for their concrete trucks. For more than 40 years, Terex Advance has been an industry leader in the development and manufacture of a complete line of versatile and specialized concrete mixer trucks for the construction market. This class was to continue training the industry professionals in properly diagnosing and repairing these trucks in a timelier and efficient fashion so they can get them back on the road and maximize uptime. John Leech, general manager of Terex Advance and Terex Bid-Well said, "The maintenance meeting is an important part of customer engagement. Direct interaction with our customers that deal with the service and reliability of our trucks on a daily basis allows us not only to help our customers with immediate needs and questions, but creates a venue that drives our continuous improvement activities going forward." The first day consisted of vendor product topics, including engine repair, troubleshooting, and upcoming changes by various engine vendors, and the new disc brakes, axles, and chassis information. Day two was headlined by Terex Advance's own team of engineers, who took part in a panel discussion with the group of technicians to better understand what issues are being encountered in the field. Along with this, they gave customers time-saving tips to get the most out of their Terex Advance concrete mixer trucks. The Terex Services team was also on site to discuss the merging of the Terex Advance Service team with the Terex Utilities team, and to provide helpful tips on troubleshooting and diagnosing the electrical system in their trucks. Each session left the attendees with helpful information to better their repair processes and diagnose issues in a more timely fashion. For more information visit http://www.terex.com/concrete.